KATHMANDU, April 13: Monica from Lalitpur was having a headache. She wanted to see a doctor, but didn’t know which hospital offered services she required and the specialist for her problem. 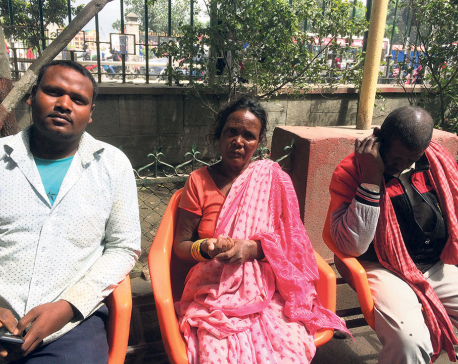 But when she came across a smartphone application named Hamro Doctor, her problem was solved. She could take a look at different hospitals and the services they offer from her cell phone. Hamro Doctor was launched in March 2016 with an aim of helping people connect with health and technology. The app consists of a database of different hospitals and clinics of all over Nepal. Patients can easily locate hospitals or clinics nearby and check the timings of the doctors and book an appointment through the app sitting at home and saving time. The app lists out doctors specializing in different fields and associated with different hospitals. It prevents unfavorable situations when patients have to return home due to the unavailability of doctors or because the queue in the waiting room is too long. 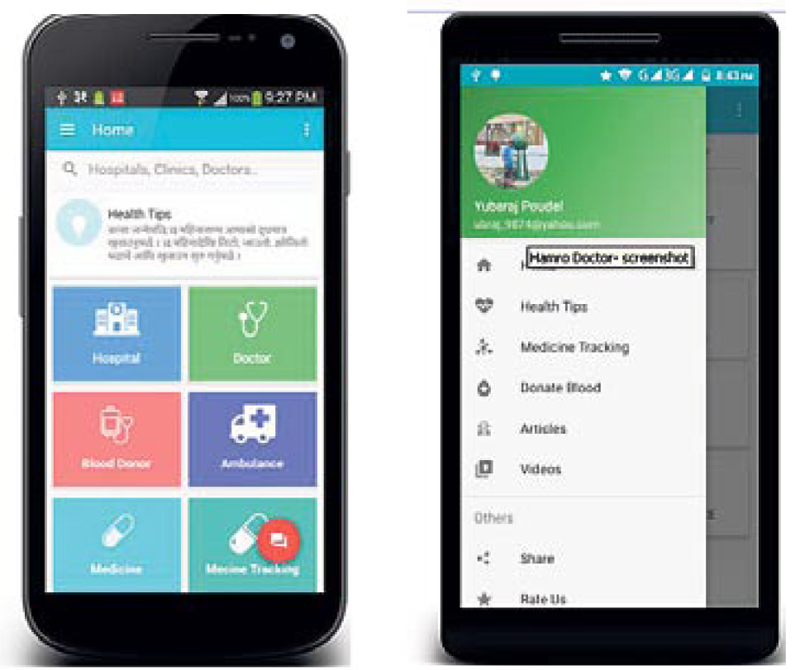 Features of the app include daily health tips, hospitals/clinics, doctors, diseases, news/articles, blood donors, ambulances, medicine tracking, videos, ask expert, easy search, and advanced search. Each of these features has its own function and specialty. The news/article feature provides users with information regarding health, and also provides them with information of doctor who has been interviewed or who has written an article. If a user clicks the hospitals/clinics option, s/he can find information regarding hospitals and clinics. For example, a user can easily find out the number of general and ICU beds available in a particular hospital, list of doctors and services offered, among others. Users can directly book an appointment through a phone call, or the booking system within the app, or find out hospital locations. In the doctors feature, they can find doctors specializing in various areas, while the blood donors feature allows users to search for the donors all over Nepal according to the location. Users can also register themselves as donors in the app through this feature. They can get basic information about the ambulance service through ambulance feature. Through the diseases feature, the users can find information about various diseases, symptoms, preventive measures and many more. Medicine tracking tab can be used to track the intake of prescribed medicines and set reminders. “The ask expert feature will directly send queries of patients to the doctors,” said Ashok Raj Pandey, the founder of the app. “We are planning to enhance the app by adding a feature of online counseling. Users living abroad will also be able to get basic counseling from doctors through this feature. The app will soon provide information in Nepali language too, making it accessible to all,” added Pandey. The application has so far recorded 20,000 downloads, and can be downloaded from Google Android’s Play Store and Apple iOS’ App Store.